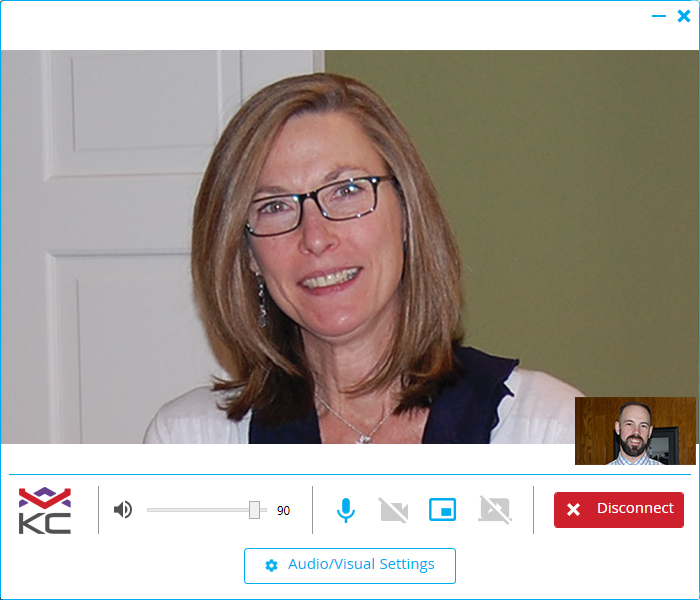 KioCall is a remote video connect app. 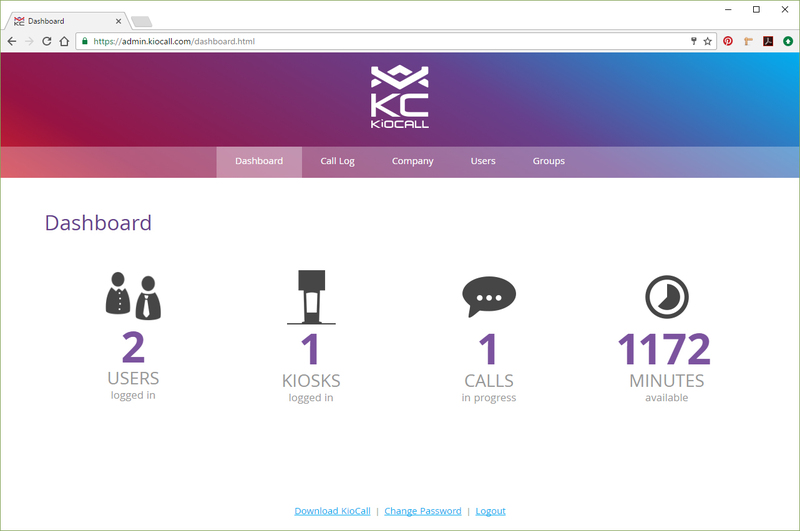 KioCall allows kiosk users to initiate or receive video chats with other kiosks, call centers, or groups. All of KioWare's Kiosk System Software products securely lock down your device and operating system into an interactive kiosk. Select Lite, Basic, or Kiosk Management options based on the features your project will require. Download and install KioWare for Windows or KioWare for Android to create a kiosk environment and configure your device's allowed activities and security settings. This is a free demo that can be licensed when ready to deploy. Sign up for a demo KioCall account. You will be able to test KioCall using this demo account. Download and install the KioCall application. It is available as a free download for Windows® or Android™. 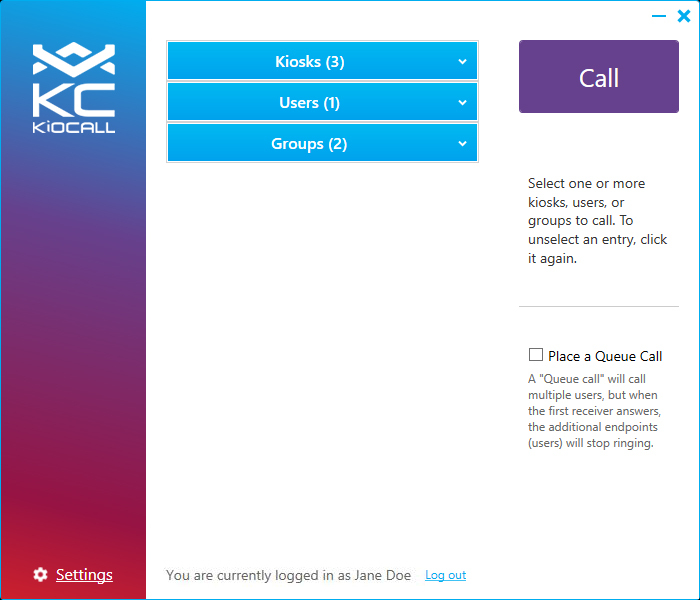 Once ready to deploy your KioCall video kiosks (into production), you will need to sign up for an annual KioCall subscription for $30 (per kiosk or logged in KioCall app user). At any point in the process you can reach out to the KioWare team for assistance in setting up, testing, and deploying your video conferencing kiosks. Simply call 717-843-4790 or email support@kioware.com. Which product will you be using KioCall with? Note: Minutes are totaled between each connected user. For example: A call connecting 1 kiosk & 2 KioCall app users for 5 minutes utilizes 15 minutes of usage time. Version 3.18 of KioWare® for Android is now available. KioWare for Android adds features to allow more customization of your kiosk behavior.